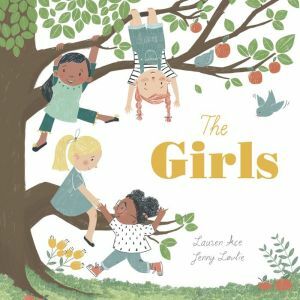 A timeless picture book for friends of all ages, The Girls celebrates kindness, supportiveness, and the power of true friendship. Meet the girls: Sasha, Lottie, Alice, and Leela. These four best friends spend their days playing beneath the branches of their favorite apple tree. As the tree grows tall and reaches across the sky, so do they . . .
. . . growing from little girls into big girls . . .
. . . and from big girls into women! Through their shared secrets, dreams, worries, and schemes, their friendship grows ever stronger. Even when their adventures take them in different directions, the girls always stay rooted together. The Girls is a celebration of lasting friendship for every girl . . . big or little.